If you’re someone who frequently uses cloud platforms for handling their storage needs, CloudMounter is a tool aimed particularly at you. Low disk storage on your Mac laptops is one of the main reasons that lead you to such online storage services and web servers, but this program has been created with an aim of bringing those stored files back to your desktop in a clean and familiar manner. 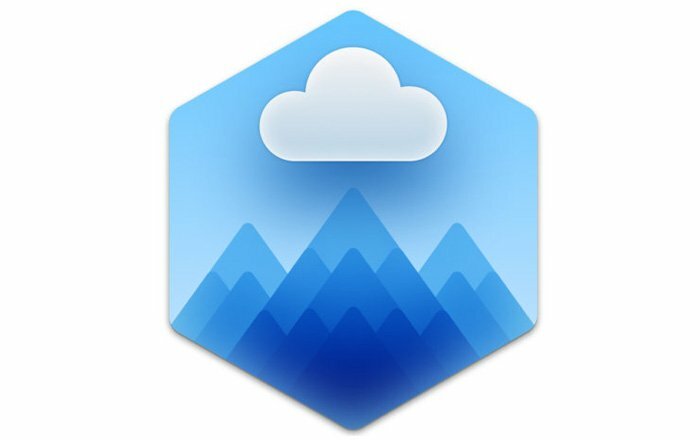 With CloudMounter installed on your MacBooks, there will be no need to keep entering the browser to download the files you need. Let us delve deep into all the services on offer through the program. One of the main attractions here is the software’s integration with Finder. 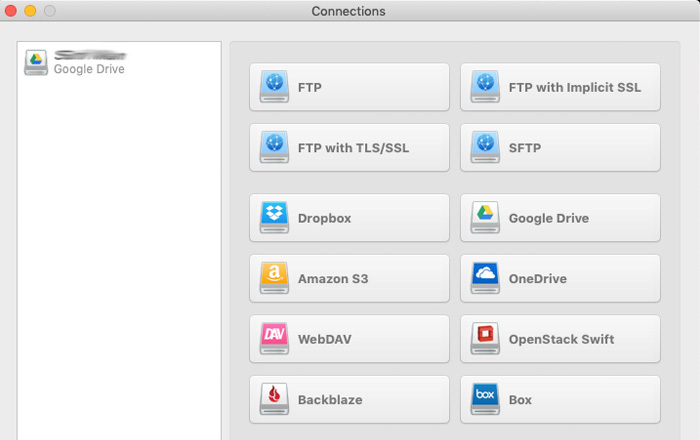 It renders all the connected accounts in the sidebar for you to access their contents as if you’re accessing files from your hard drive. A very wide variety of services are supported here. While you can expect popular ones like Google Drive, Dropbox and OneDrive to be available, the program also provides support for services like Amazon S3, Backblaze, OpenStack Swift, (S)FTP, WebDAV and OpenStack Swift. Of course, since your files still exist on the cloud, the speed with which you’ll be able to grab them will only be as fast as your Internet connection. You may not worry about smaller files like JPEGs, Word documents and PowerPoint presentations, but when it comes to stuff like high-quality videos, you might want to have a reliable Internet connection to enjoy the benefits of CloudMounter freely. Now it’s not that the program won’t work on a slow connection; it’s just that the seamlessness of the whole user experience will not be as visible. This software also supports encryption, allowing you to secure your data from unauthorized access on any cloud storage. This way, even if someone manages to break into your cloud or server account, their attempts will be in vain if they don’t have your encryption key. And this encryption also ensures that CloudMounter too will not be able to read your files. The widely used AES-256 encryption process has been adopted by this program. 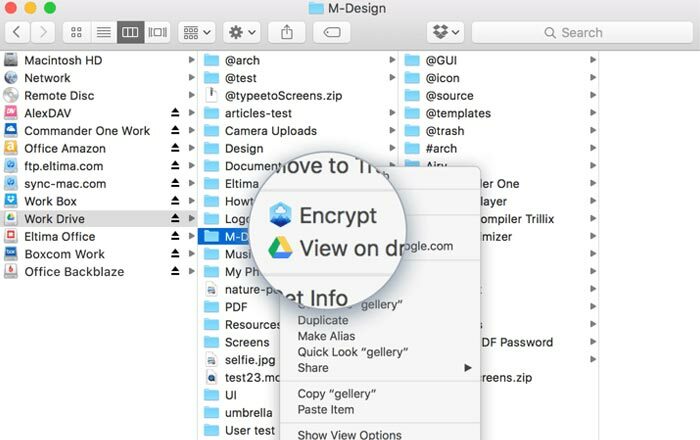 Once you set up the encryption – which is a fairly easy thing to do – you can create a password and store it in your Mac’s Keychain, or even choose a password manager instead. With CloudMounter installed on your Mac, you can sign into all the cloud accounts you wish to have mounted. Once that’s done, your Finder will start displaying them like it would an external hard drive. 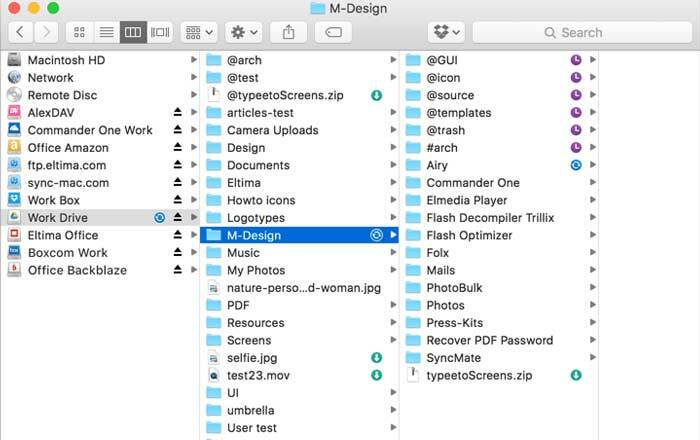 All the contents inside will also adopt the Mac interface and work like regular files. The menubar at the top gets a new icon for managing your CloudMounter preferences. This is also where you can go in order to access the encryption feature. The menu even lets you select the folder where you want the cache to be stored. It is this program’s seamless integration with MacOS that will keep amazing you once you install it. A lot of attention has been put by the developers into making you feel like your online data is actually stored on your computer. They add to this by showing status icons for files that are in queue, uploading/downloading or had errors during the transfer. This nifty little addition is as much useful as it is impressive. Apart from Mac, CloudMounter is also available for Windows and Linux machines. And pretty soon, Android and iOS apps will also be introduced to help you better manage your mounted cloud accounts. If you wish to have just your Google Drive, Dropbox and OneDrive accounts mounted on your computer, you can use CloudMounter free of cost. However, if another account needs to be added, you will have to purchase the paid versions. A lifetime license for one Mac will set you back by just $29.99, whereas a lifetime license for 5 Macs will cost you $99.99. And if you wish to get subscription-based versions, you can jump into the Mac App Store to avail them. A 15-day free trial is also on offer if you’re one who likes to test stuff thoroughly before spending your money on it. Previous articleBuild vs Buy Software: What Should You Choose?